We’re almost at the end of our Indiegogo campaign and as you might be aware there is a delay in the production of the kits. At TINUSAUR we strive to achieve the higher quality of the products. Unfortunately, while making the PCBs, the most important part of our boards, and working with some new suppliers, we were not happy with the quality of the production. Luckily, the great guys at OSHPARK jumped in and helped us get the PCB we need at the cost we could afford to keep the price points of our product low and affordable. Good news – all the PCBs arrived a few days ago. We’ve assembled few pieces of them to make sure everything is fine and, with the exception of few minor glitches, all is good and ready to go. This week we are packaging the broads and the components. Next week we will start shipping the first batches of kits to the supporters. The Blocktinu is the development environment for your Tinusaur microcontroller boards where you could use blocks to produce real C programming language source code. As you move your blocks (on the left) to implement your algorithms, the source code (on the right) will be automatically updated. Pretty neat, huh? Now you can start learning the C programming language by playing with the blocks and looking at the changes in the source code that has been generated. Once your program is ready it will be compiled in the cloud so no installation of any SDK will be necessary. The resulting binary code for the ATtiny85 microcontroller will be returned back to you. The Blocktinu is part of the Tinusaur project. The Blocktinu and the Tinusaur are open source projects. Both the software and the hardware! The Blocktinu is almost ready for public use. The Blocktinu is part of the Tinusaur crowdfunding campaign that we have launched on January 22nd, 2018. Support our crowdfunding campaign. Get yourself a Tinusaur microcontroller board. You will receive early access to the Blocktinu development environment. We have just passed the 10% mark! Thanks a lot for your contribution to the campaign and for the support of our project. We have just passed the 10% mark! As usual, our campaign goes slow but steady. Please, if you can, spread the word about our project, share it with people that might be interested. A small robot car that you could build yourself and program it to follow a black line on the floor. A small game platform, that you could build and program yourself. 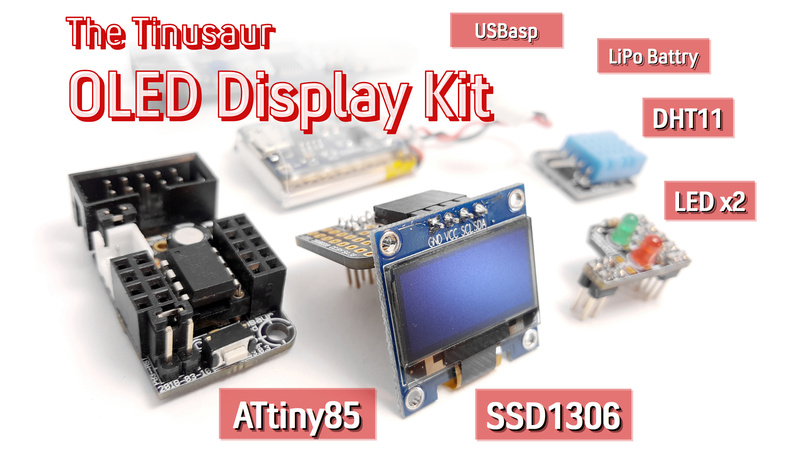 Those are the Tinusaur project goodies. They can help you learn, teach and make things with microcontrollers, and have fun at the same time. This is what the Tinusaur project is about. Next Monday, on January 22nd we are launching a crowdfunding campaign to make more of those fun projects. Join us at http://igg.me/at/tinusaur and subscribe for updates about the launch. Some of you should’ve received their packages already. Please, do us a favor! Good news, dear friends, and supporters! All of the parts are here (except some of the green 3mm LEDs) and we started packaging everything else (except some of the LEDx2 Shields). So, starting next week we will be shipping the first packages. You will receive an individual message through the Indiegogo messaging when we ship your perks. We’ve recently discovered a bug in our Arduino IDE package that will cause an error when you try to compile your code. We have a fix for it and the only thing you need to do is to update the package. Go to the menu Tools / Board … and then “Board Manager …” at the top. Wait for a while until the list is updated from the Internet. Scroll all the way down to the bottom until you see the “Tinusaur Boards“. Click on the item and see the “Update” button. If you don’t have the package installed yet follow the instructions for setting up the Arduino IDE with the Tinusaur boards. 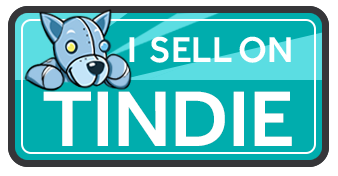 If you don’t have a Tinusaur board yet 🙂 go to our Indiegogo Campaign InDemand option and get one. We are 179% funded! This would’ve not happened without you. We will be posting updates regularly, as often as there’s something to update you about. As you may have noticed we’ve extended our campaign by a couple of days to allow more people to get their perks over the weekend. We’re 175% over our original goal, $4522 raised – with 12 hours still left to go. We’re so excited that we’ve decided to make this pledge: if we reach 200% or $5000 (whichever happens first) before the end of the campaign (i.e. in about 12 hours) we promise that we will make the Tinusaur Car – a 2-wheel mini car that can follow a line – and we will make it available on our website. We are already building a working prototype. What can you do to help us reach our next goal? Go to our campaign https://igg.me/at/tinusaur support us – get a perk. Share our campaign link https://igg.me/at/tinusaur with your friends or through your social media channels. Wish us luck for the next 12 hours! We are 140% funded and there are only 16 hours left of our Indiegogo campaign. By continuing to support our cause you will help us get even more Tinusaur kits to our students. Not interested in getting a Tinusaur board? You can donate to the project! Our promise: we will spend the money to bring the Tinusaur boards to even more students … as we’ve done it before. Neither of those is for you? No problem. You could just share our campaign link https://igg.me/at/tinusaur to your social media channels such like Facebook, Twitter, or whatever you prefer. Just a quick reminder: After the campaign is over the price of the boards, the kits, and the shipping will go slightly up so now is the best time get a bunch them.